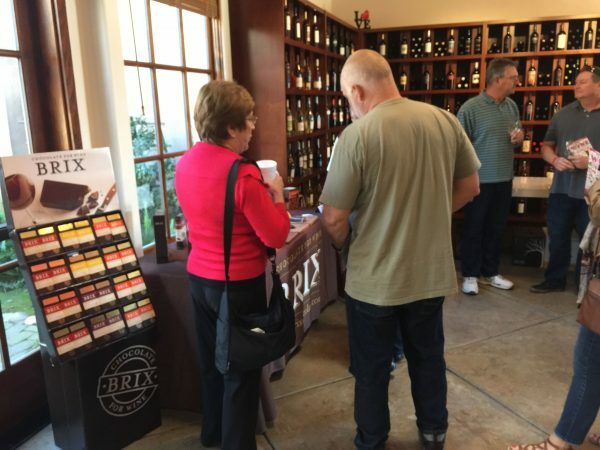 Lodi Wine and Chocolate Weekend 2019 Just Updated! – Our favorite wine festival in Lodi CA Wine country is back and all new for 2019! New photos and new details of the schedule updated for your convenience. We have included quick links to get tickets and transportation packages featuring Limos and Party Buses from top rated local operators! Hurry and book your Lodi Wine and Chocolates Limo Wine Tour package reservations now for February 9th and 10th 2019! 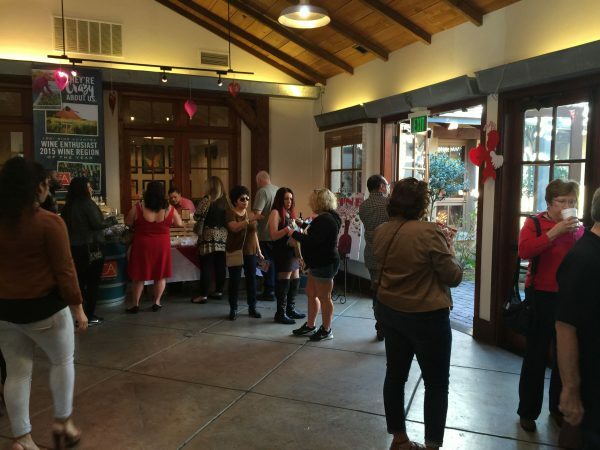 Scroll down to review photos from last years Wine and Chocolates Festival and links for schedules participating Lodi Wineries. 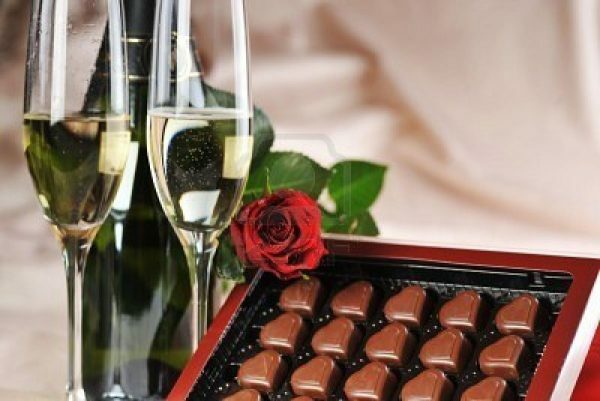 The wine will be flowing the chocolates will be devine and the music will be playing! This favorite of all Lodi wine festivals is also “MJ the Limo man” AKA “MJ the Wine Guy’s” favorite event of the entire year in Lodi CA. Barrel tasting of premium reserves and nation wide top sellers and dancing go hand and hand at this one of a kind event! Lodi Wine and Chocolate Weekend 2019 is on February 9th and 10th this year and now is the time to lock in the best deals from Land Yacht Limos! Land Yacht Limos is the leading limo wine tour booking company in the Lodi Wine Country area and your Local Limo Network of high demand vehicles and top rated providers. 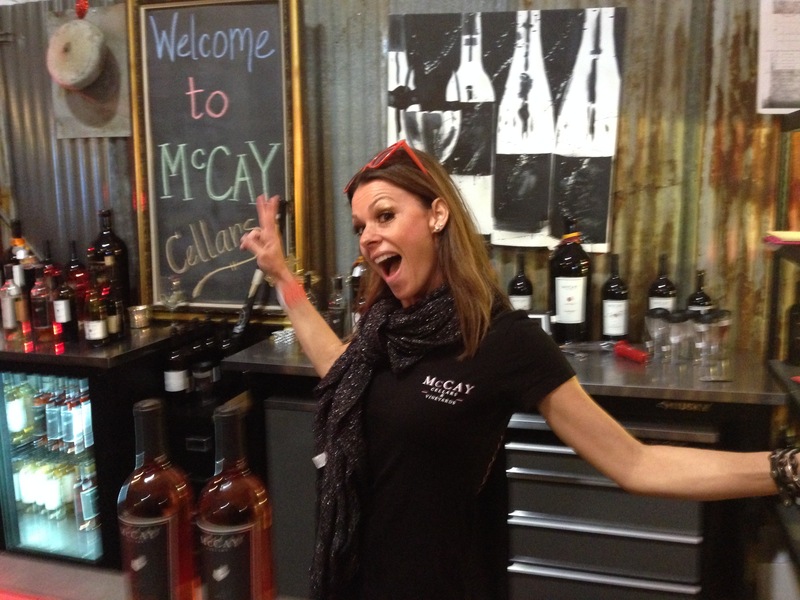 Above is McCay Cellars happy staff serving and they always have a great band playing for this event! 2019 will be is the 22nd year for the Lodi Wine and Chocolate Weekend and every year the best vehicles and wine tour packages book up faster due to the growing popularity of this top Lodi wine tour! 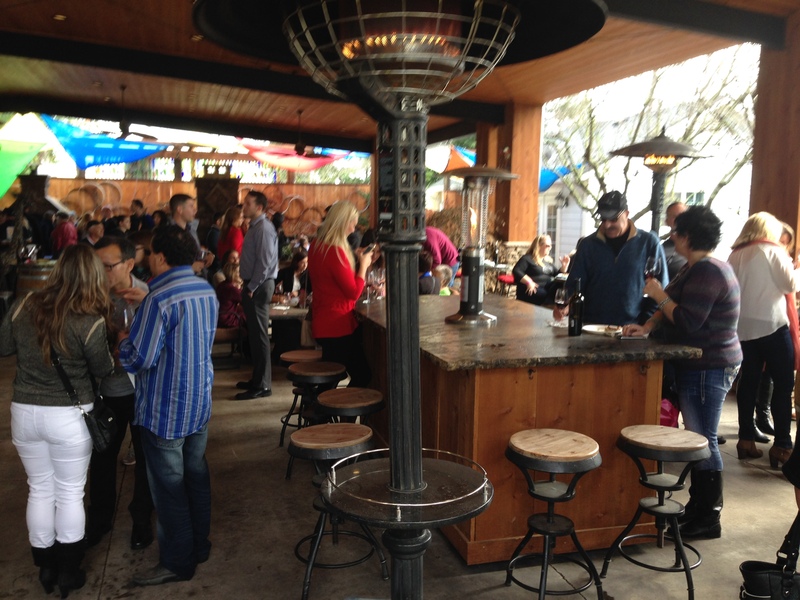 Above Macchia Winery is serving tasty snacks with fireplaces glowing throughout the facility to keep visitors cozy. We take the work out of designing your ultimate wine tour itinerary because we know the best wineries and the owners of many of those great wineries making reservation a snap for us to get. You choose to be self-guided also it up to you! We know who will have live music and food options that will make your stops at wineries more fun and exciting! 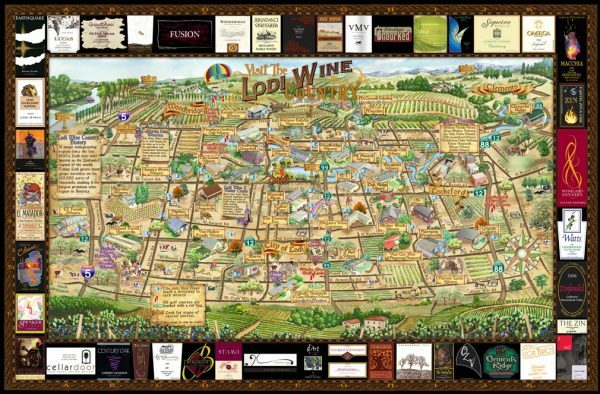 Above is the Lodi Valley Wine Map and Visitors Guide to assist you with getting familiar with Lodi wine country options! Bring someone special to Lodi Wine Country this Valentine’s Weekend, February 9th & 10th for the 22nd Annual Wine & Chocolate Weekend! 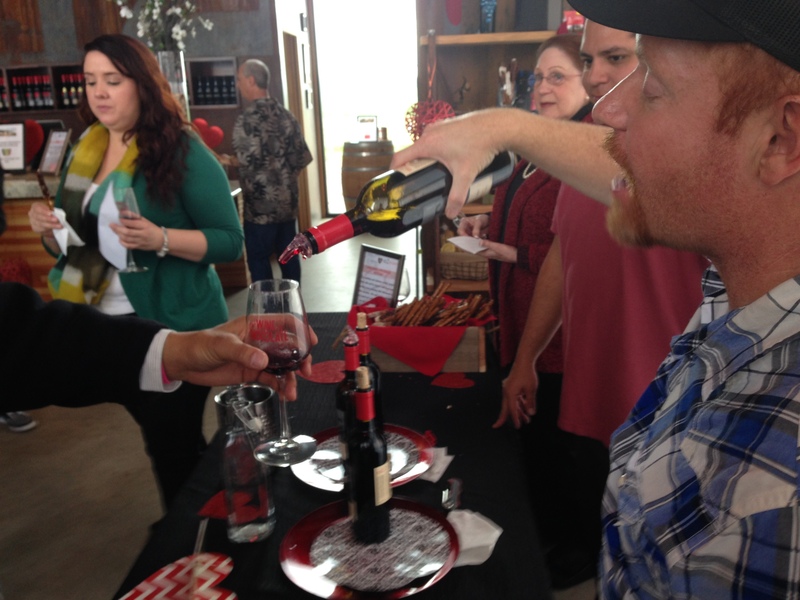 Taste handcrafted Lodi wines and decadent chocolate treats at over 50 wineries in the Lodi appellation. Travel from winery to winery while taking in each of the winery’s hosted activities such as wine and chocolate pairings, live music, barrel tasting and more. We’re celebrating the 22nd annual Lodi Wine & Chocolate Weekend and we want you to join us! Sip handcrafted Lodi wines and sample delicious chocolate treats as you travel between 50 Lodi wineries. Win big by discovering the “Golden Ticket” in your complimentary chocolate treat! All tickets purchased online or by phone order after 5:00pm PST on February 1 will be held at Will Call. Will Call opens on Saturday and Sunday, February 9 & 10, at 10:00am PST. Will Call will be located at the Lodi Grape Festival Grounds, Burgundy Hall, 413 E. Lockeford St. Lodi, 95240. Designated Driver: No charge. No ticket required. Must be 21 and over. Must be prepared to show ID to obtain wristband. ALL TICKET HOLDERS (INCLUDING DESIGNATED DRIVERS) MUST BE 21 AND OVER TO ATTEND. NO EXCEPTIONS. Online: Deadline: Friday, February 8, 11:59pm. (*Please note: Tickets ordered online by 5:00pm PST on February 1 will be mailed to you. Tickets ordered online after 5:00pm PST on February 1 will be held for you at Will Call. Will Call tickets may be picked up on either Saturday or Sunday, February 9 or 10, beginning at 10:00am). Phone: By calling the Lodi Wine & Visitor Center at 209.365.0621. Deadline: Friday, February 8, 5:00pm. (*Please note: Tickets ordered by phone by 5:00pm PST on February 1 will be mailed to you. Tickets ordered by phone after 5:00pm PST on February 1 will be held for you at Will Call. Will Call tickets may be picked up on either Saturday or Sunday, February 9 or 10, beginning at 10:00am). Will Call – All tickets purchased online or by phone order after 5:00pm PST on February 1 will be held at Will Call. Will Call opens on Saturday and Sunday, February 9 & 10, at 10:00am PST. Will Call will be located at the Lodi Grape Festival Grounds, Burgundy Hall, 413 E. Lockeford St. Lodi, 95240. Day-Of: During the event (either day) at any participating winery. No deadline. An event wine glass, a chocolate treat, an event map and guide, wine tasting and admission to 50+ participating wineries. Don’t forget to check your chocolate treat for a “Golden Ticket.” You can win one of over 100 prizes! In order to provide a fun, safe, and memorable experience for all of our guests during Wine & Chocolate Weekend, we ask that you read and adhere to our Guidelines for Responsible Wine Tasting. Many of Lodi’s boutique winery tasting rooms are not equipped to handle multiple groups of 20-40+ consumers at any one point in time nor are equipped to accommodate parking for full-sized buses. In order to be responsible hosts, give all attendees an experience worth remembering, and to provide a safe and sound environment, participating wineries have noted whether they will be accepting large groups (20-40+) / full-sized buses at their location during the event weekend or whether they will be restricting visits from large groups (20-40+) / full-sized buses to appointment-only times or to not at all. Please be sure to check the individual participating winery listings for notes on restrictions before planning your Wine & Chocolate Weekend itinerary. All ticket holders (including designated drivers) must be 21 and over to attend. No exceptions. Please be prepared to show ID in order to redeem event ticket. Designated drivers are strongly encouraged. There is no charge for designated drivers. There is no ticket required for designated drivers. Must be 21 and over. Must be prepared to show ID to obtain wristband. Designated drivers will receive a different colored wristband. Wineries will not serve wine to designated drivers. 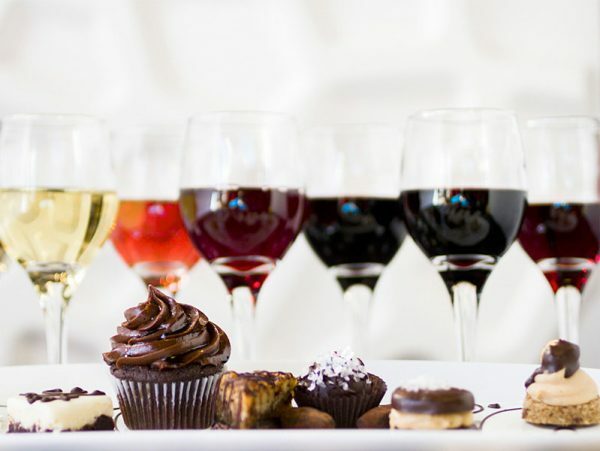 Designated drivers will receive a chocolate treat and may sample food and other non-alcoholic beverages provided by the wineries at no charge. A friendly reminder that even great wines should be enjoyed in moderation. About Land Yacht Limos: Land Yacht Limos is now the Local Limo Network for limo operators to advertise deals and showcase their best packages and vehicles. All pricing quoted is company direct best deals pricing from the respective limo network operator in real time. Due to the large number of high demand network vehicles available from multiple operators the vehicles shown on this site are for illustration purposes only and may not represent the exact vehicle that is available for your booking. Exact vehicle pictures are always made available prior to confirmation with the respective limo operator upon request.